Leslie Saxon, executive director of the Center for Body Computing at the University of Southern California, says there’s no better connected device on which to reach an audience than a mobile phone. And on that mobile phone, go to where the consumer is — social media. At the Partners Healthcare Connected Health Symposium in Boston, Saxon highlighted four key ways that her team is reaching out consumers and patients through social platforms such as Facebook, gaming, YouTube and Instagram so that she can reach them online where they already exist. With the growing use of health information exchange technology and personal mobile health devices, patients' health records are being inundated with information that might not have been requested by their provider. While such data can help make patient records more comprehensive, unsolicited information also can cause disruptions to providers' workflows and affect the usability of their EHR systems. Further, providers could be held liable if patient harm or misdiagnosis occurs that could have been prevented by more thoroughly reviewing such data, according to experts. 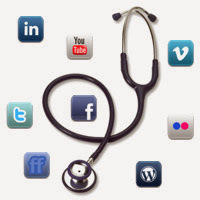 By 2016, more than half of traffic to hospital websites will be on mobile devices. So, it may be a good time to make sure your hospital's site is optimized for mobile. This statistic is among those explored by independent digital agency Primacy, which analyzed the traffic and paid search activity of five hospitals in 2012 and illustrated the findings in an infographic. 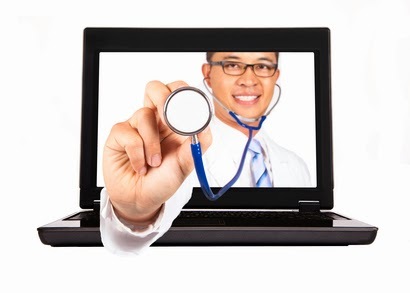 WASHINGTON – A bipartisan group of House lawmakers introduced a bill this week that would strengthen Medicare and enhance Medicaid through expanded telemedicine coverage. The “Telehealth Enhancement Act of 2013,” introduced by Reps. Gregg Harper (R-Miss. ), Mike Thompson (D-Calif.), Devin Nunes (R-Calif.), and Peter Welch (D-Vt.) on Oct. 23, builds on existing payment innovations, according to a news release from Harper’s office. This proposal is the result of a months-long drafting process involving patients, providers, and other industry stakeholders, the bill sponsors say. Special Report: The State of Telemedicine in the U.S.
For the last six years, military personnel who have sustained severe facial and other injuries have had access to some of the nation's best plastic and reconstructive surgeons while receiving ongoing care at home through telemedicine. The program, called Operation Mend, initially focused on secondary facial reconstruction of severely burned soldiers, who often must undergo dozens of surgeries. Step right up and take a look at a 5-by-8-foot device Ohio healthcare providers are hoping will keep non-urgent patients from clogging up emergency rooms and urgent care centers. University Hospitals is one of three health systems in Cleveland working with telemedicine company HealthSpot to expand the system’s reach and give patients better, cheaper access to medical care after hours. The Enterprise Solutions unit of Verizon Communications has introduced a remote patient-monitoring platform to enable collaboration among physicians and patients between office visits. Called Converged Health Management, the platform enables patients to use biometric devices to collect various health status indicators, such as weight, blood pressure and oxygen saturation and glucose levels, and wirelessly transmit the data to a Version server that clinicians can access. Maryland's Medicaid program is expanding its coverage of telehealth services, the Baltimore Sun's "Picture of Health" reports. Previously, the state reimbursed only for mental health care services provided through telehealth technology (Walker, "Picture of Health," Baltimore Sun, 10/23). The Maryland Department of Health and Mental Hygiene is expanding its Telemental Health Program, which was implemented in 2010, to boost Medicaid beneficiaries' access to specialists. LinkedIn Corp. (LNKD), the professional-networking site with more than 238 million members, expects half its users to access the service from mobile devices next year, up from 38 percent today. To increase the mobile-user base, the company updated the design of its applications and added a feature that integrates LinkedIn with Apple’s mobile e-mail program, the company said at a press conference today. Are you struggling to get your social media activities off the ground? Do you want to get more people inside your organization to support your social media activities? If so, you’re not alone. Small businesses to Fortune 500 companies find themselves facing these challenges. In this article, I’ll show you how to create an internal social media structure that will help you develop an effective long-term social media presence. 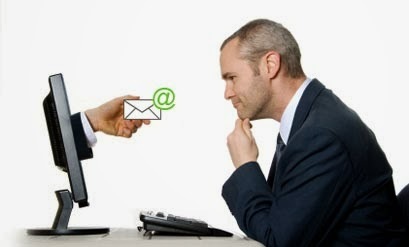 Friday’s worldwide marketing email click rate is 4.9% Email inboxes worldwide receive the largest influx of email marketing material on Tuesdays, according to an October 2013 study by GetResponse. The email marketing software company found that 17.9% of a week’s worldwide marketing emails were sent on Tuesday, followed by 17.3% on Thursday and 16.6% on Monday. How Can I Get My Local Business to Rank Higher in Search? It’s “Question of the Week” day at Duct Tape Marketing. I’ll now tackle a specific question I received via readers or in places where I’m speaking. For today’s answer I wish I could say there was some magic pixie dust, but the fact is getting your local business to show up high in the search results takes some work. For the local business the goal must be to move into what is referred to as the Google Local Pack – those 6-8 listing that show up for a local search. This is particularly important on mobile devices that are often pinpointing local only. Former Rep. Bill Gradison (R-Ohio) advocates for a telemedicine bill in the House that would allow doctors to treat Medicare patients across state lines in a post on The Hill's Healthwatch. The TELEmedicine for MEDicare (TELE-MED) Act (H.R. 3077) would allow a doctor who has an established relationship with a patient to offer treatment to that patient anywhere in the United States without having to obtain multiple state medical licenses. Gradison calls the current medical licensure laws an example of policy not keeping up with advances in technology. President Obama and the administration could have proved that there are real live people who have successfully purchased a health insurance policy through healthcare.gov. As he always does, the President had a lovely backdrop of smiling people standing behind him today when he spoke for the first time about the launch of the health insurance exchanges. The session opened with a small business owner from Delaware who got insurance through the federal exchange. She said she was not old enough for Medicare but old enough to have a few health problems. Obama later said that previously the woman had been turned down for coverage three times due to pre-existing conditions. So, hooray for that one woman from Delaware. As the data tsunami continues with states well underway with HIE development and more ACOs coming online, we still have to bring it back to the patient and ask what will it take to make the millions of gigs of information out there make a real difference to the guy in the hospital gown? Or, to the grandmother rehabilitating from hip surgery at home? We all know the launch of health insurance exchanges have been inundated with technical glitches and other problems that hindered the enrollment process. Industry experts now are worried those hitches may not only continue but also may worsen. "If we are already running into issues at the user account stage, we're going to run into a lot more issues when we get to the more complex operations at the [subsidy] eligibility determination," Dan Schuyler, senior technology expert at Leavitt Partners, told Politico. "That's the reality. It's a very complex process, and I think it's going to get worse before it gets better."